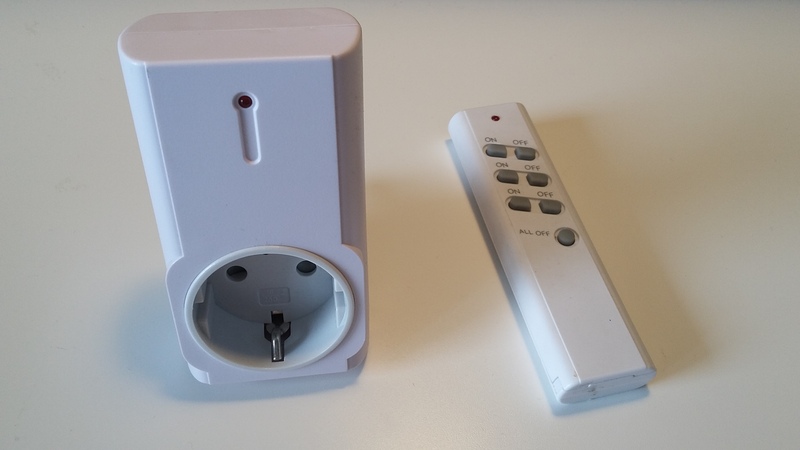 Some time ago, I bought a KlikAanKlikUit set which contains a remote control and three sockets. It operates on 433Mhz. I also have a cheap 433Mhz transmitter/receiver set from Ebay. With these cheap antenna’s, it is possible to make an extra remote control, which can be controlled from an Arduino. KlikAanKlikUit remote control and socket. 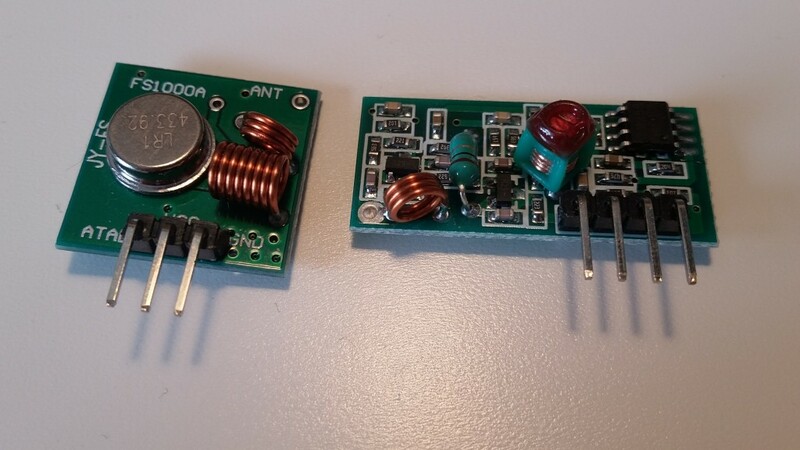 Cheap 433Mhz transmitter and receiver antennas. In order to use the cheap transmitters, the protocol must be known. I hooked up a logic analyser to the cheap receiver to pick up signals from the original remote. Pulses are approx. 0.225 ms long. Each ‘number’ is followed by a delay of 1.32 ms.
An example of flashing channel 3 with an Arduino is found on my github page.